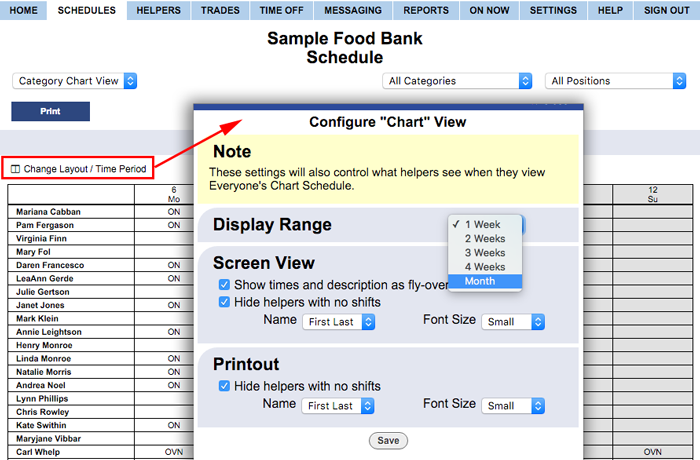 The schedule is listed by helper last name, and if the shifts are not marked as being in any Category, they show as "ON" if the helper is helping that day. If the shift the helper is helping for is defined as being in a Category, it will appear with that Category abbreviation. This can be useful if you have fixed time shifts and you want to categorize them as morning, evening, night - or you can make them be location related, etc.